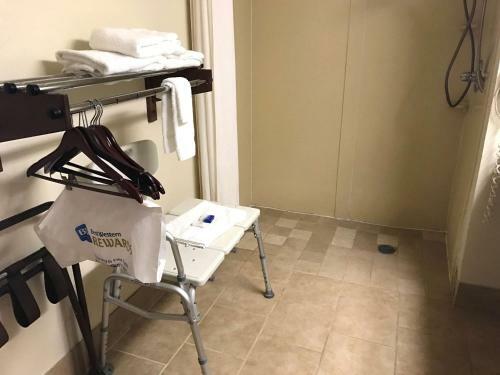 Rooms from $70.91 per night. Description This Byron, Georgia hotel has an indoor pool, free internet access and non-smoking guest rooms. This hotel is also pet friendly. 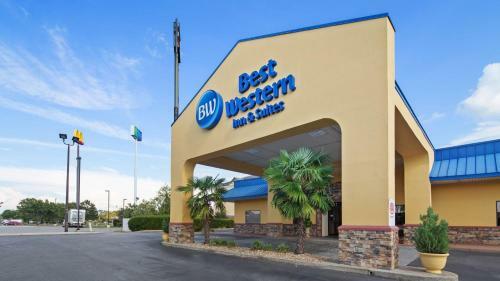 The free Wi-Fi indoor pool free breakfast and well-equipped rooms are top amenities offered at the Best Western Inn and Suites Byron. Each of the 67 rooms at this two-story hotel has free Wi-Fi cable TV with HBO and ESPN a microwave mini-fridge and coffeemaker. 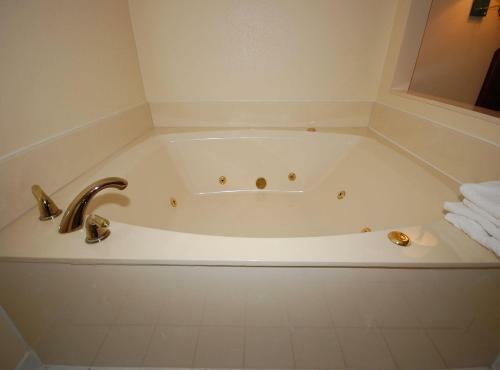 Suites with jetted tubs and non-smoking rooms are available; guest can bring pets for a fee. 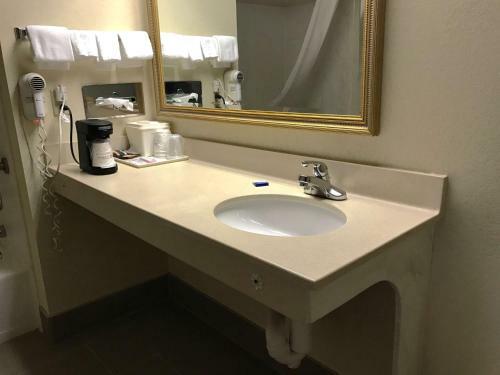 The hotel provides a free continental breakfast each day as well as free newspapers on weekdays at the 24-hour front desk. After a relaxing day around South Georgia return for a swim in the indoor pool or a soak in the hot tub. There's also a cardio fitness room where guests can get in a workout. The hotel is 17 miles south of Macon just off I-75. The Houston County Galleria mall is about 10 miles away; Peach Outlet Shops are less than a mile. For outdoor recreation High Falls State Park's waterfall and hiking trails are about 45 miles away. Robins Air Force Base and the Museum of Aviation are about 15 miles away. Middle Georgia Regional Airport is 20 minutes away by car; Hartsfield-Jackson Atlanta International Airport is about 90 miles away. 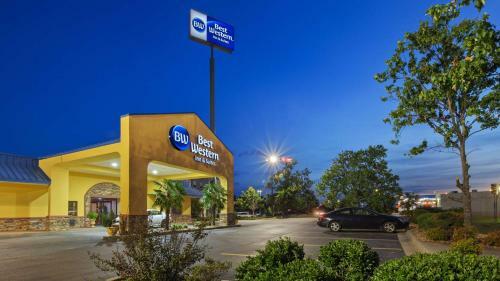 Add Best Western Inn & Suites to your free online travel itinerary.